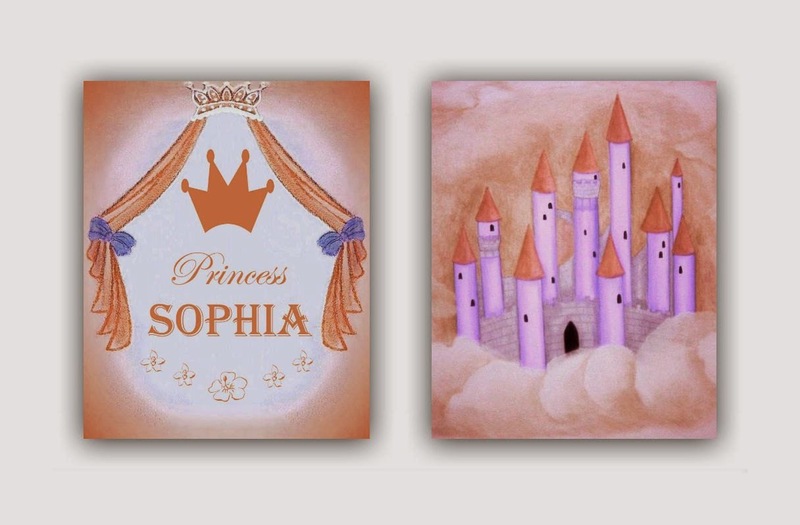 This SET OF 2 Art Prints, is a reproduction of my ORIGINAL Hand painted Artwork for Baby Girl Nursery room! This beautifull Princess Crown is a unique piece of Art and a lovely gift for your little princess! A magical fairytale theme for a baby nursery or Girls room on pretty colors, it will decorate your Princess room and make it more beautiful ! All images copyright by Errikosartdesign © 2012-13. Do not be reproduced my artwork without my written permission.